This version of a classic parachute drop ride will thrill young children. Location: In the elbow of Paradise Pier, near Orange Stinger. Wait Times: Can be surprisingly long due to low capacity, but still rarely longer than 20 minutes. Queue Description: Just an exterior corral. Health Restriction: The drop on this attraction is gentle and should be ok for just about any condition. Ride Access: The standard queue is wheelchair and ECV accessible. Wheelchair Transfer: It is required to transfer from wheelchairs and ECVs into the bench seats of the attraction. Weight and Size Issues: Large guests may find the seats too narrow for comfort. 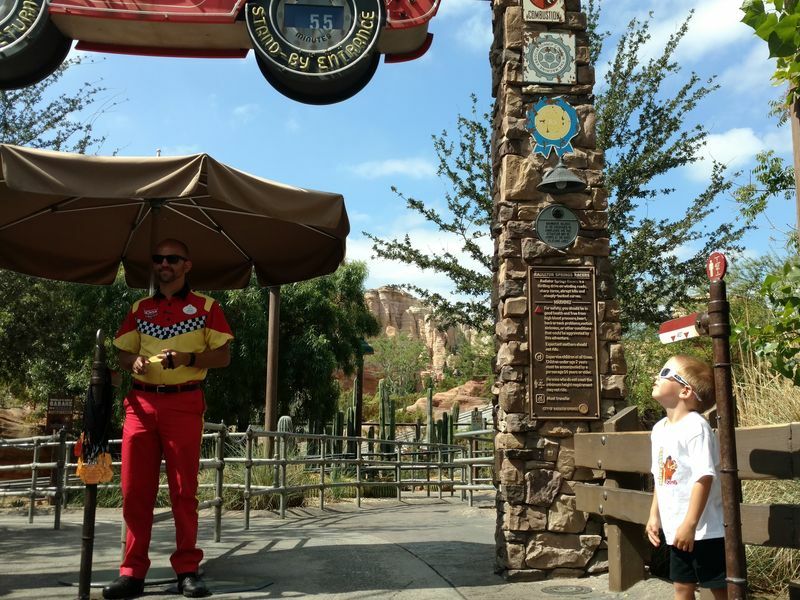 Other Issues: Although the official height restriction is 40" this ride�s measuring stick is historically infamously flawed. Several MousePlanet readers have been denied entrance to this ride even when children had been admitted to other attractions with 40" height restrictions. One reader checked the measuring stick with a measuring tape from her purse and it measured 41". Although Disney denies this report and claims to have verified the accuracy of this measuring stick, readers continue to report problems at this attraction. When visiting with children under 41" you may have trouble at this attraction.